Back in 2001, NickBee (at just a mere ten year old boy from Dnipropetrovsk then), passed an initiation to drum&bass-cultures and as five years have passed he has become the one of the most famous drum&bass producers of Ukraine now. 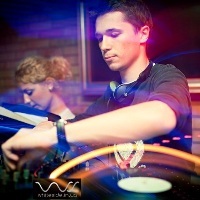 By the age of 15, NickBee, with the advent of Sunchase, of Ukraine's big name d&b-artists, he actively began to explore music softwares, performing at the computer for 12-16 hours a day throughout the year. 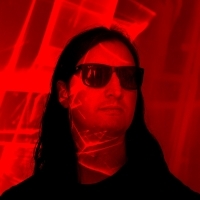 His first digital release with the American label Black Reign LTD in 2006 was a result of continuous creative search. Around the same time Atomic Club in Dnipropetrovsk had the first liveperformance of the young musician. Within a few years his sets were created with a beautiful, deep and strong material, on the fine line between the old school and the mainstream music played in the clubs of the European countries: and 2012 saw a tour of NickBee and Sunchase in German cities (Layhlingen, Dusseldorf, Cologne, Dortmund, Siegen, Frankfurt, Ulm). Coming up next for NickBee are Berlin, then through to the cities of Austria, and Paris and Amsterdam. NickBee's tracks implicate in unusual effects rotating in magnetic depth similar to the future funk in orientation, regularly found in sets of Noisia, Bailey, Spectrasoul, Loxy, Mindscape, Jade, The Upbeats, Ed Rush and others from the genre's luminaries. 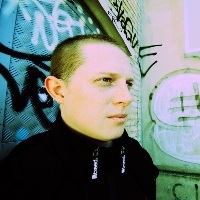 From 2006 NickBee's tunes had been released at Subculture, Modulate, Ammunition, Blackseeds, Golden Orb and Tam Records. 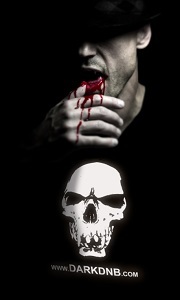 In 2010 German label Basswerk presented some collaborations of NickBee with Enei and Kano, and Sinuous label ? joint tune with Malk who worked with NickBee till this moment successfully. Recordings with these compositions and remixes will be released in near future with one of most authoritative of contemporary drum&bass-labels ? Invisible Records (NL), Apexx Records (UK) and Icarus Audio (USA). Besides that, there are plans of releases of NickBee's tunes at Unknown Error Digital (UK) and Contaminated (UK) with a digital release. Year 2012 became so promising for NickBee: in the spring Sunchase and NickBee launched first in Ukraine vinyl drum&bass-label "22:22", released in May with "Summo" by NickBee and "Belltine" by Sunchase and NickBee under support of many musicians. 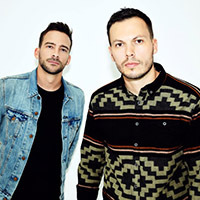 Roughly at the same time came the official remix of Sunchase and NickBee for the track "Hand Gestures" by the Noisia team with the assistance of Joe Seven. In the next joint plans of these musicians is EP on a fairly old British label Revolution Records, EP on Horizons Records and the second release on "22:22". Several minimalistic and deep tracks by NickBee, made together with Belarusian musician Malk and British vocalist Zelda Marshall was signed to British label Solace and is coming on vinyl - the same as the vinyl EP together with Sunchase at Dubzilla Records, filled with beautiful neurofunk sounds with an emphasis on dancing beats. In his production, the artist takes the basic idea of "Next track, better than the last" for creative evolution. As a medical man by education, NickBee has all the necessary knowledge and skills to create stuff that is healing, beneficial to mental and physical condition. He thinks it is possible to make beautiful music in any style - supported by his six-year long journey experimenting with different styles of music (including ambient dubstep, minimal techno etc. 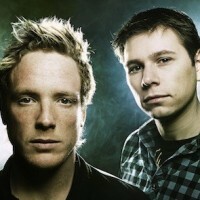 ), but the style of drum&bass is still a priority for him, carrying a furious energy.